There’s a lot of good reasons to distrust banks these days, which means it’s boon time for companies who make piggy banks. But instead of smashing this bank on the floor when you want to make a withdrawal, you light its tail and watch it melt away because it’s actually a wax candle. Made by hand in Taiwan, the Babe bank was created by GoGOLDFISH Design Studio. 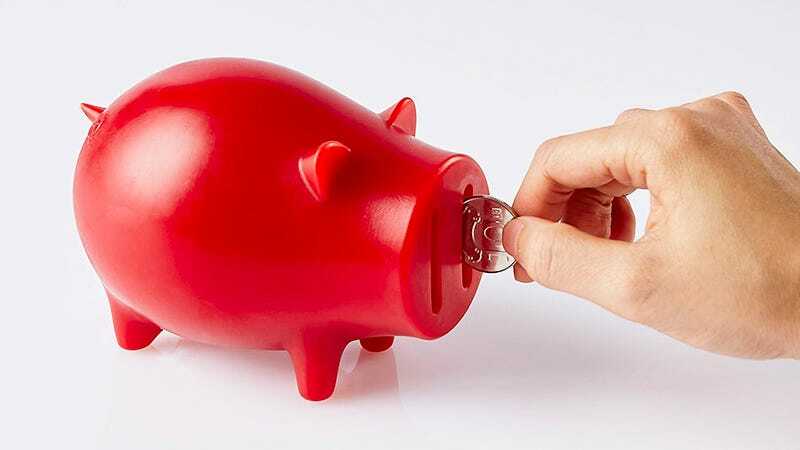 Deposits are made by sticking your coins or folded cash in the pig’s nostrils, and like other piggy banks, it’s unfortunately only good at keeping your savings secure until you decide to break it, or in this case, melt it, open. So you might want to only use it for your long-time retirement savings.